We’re delighted to be working with Murrayfield Ice Rink on a range of refurbishment and enhancement options. 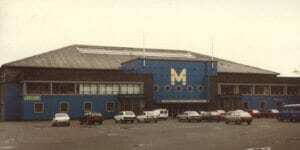 Murrayfield Ice Rink is one of only 4 surviving Art Deco Ice Rinks in the UK, and in 2013 was Listed. One of the elements of the refurbishment is to explore the entrance area ensuring that the area continues to function for skating, hockey and events while looking to restore some of the original Art Deco glamour.